Today was Day #7 of Chocolate and Africa Theme Week. Today we return to Ghana, one of the top cocoa exporting countries in the world. Cacao beans from this West African country were used to make this 70% cacao Ghana bar with sea salt by the chocolate maker(s) at Cello Chocolate (Nevada City, CA). 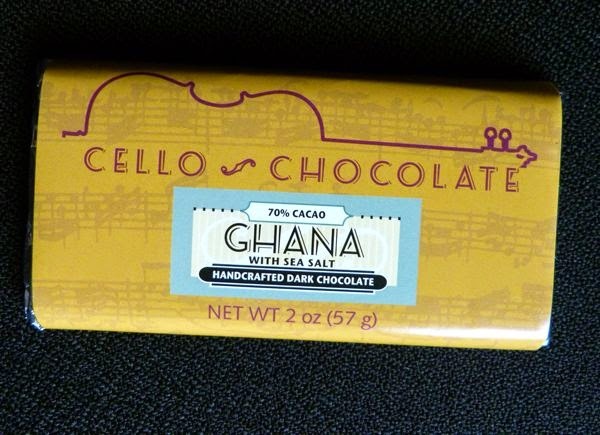 Cello Chocolate offers a line of handcrafted dark chocolate bars from various source countries. Today's Ghana bar was part of a single origin, 6-pack that included: Ghana, Peru, Venezuela, Bolivia, Dominican Republic and Ecuador bars. 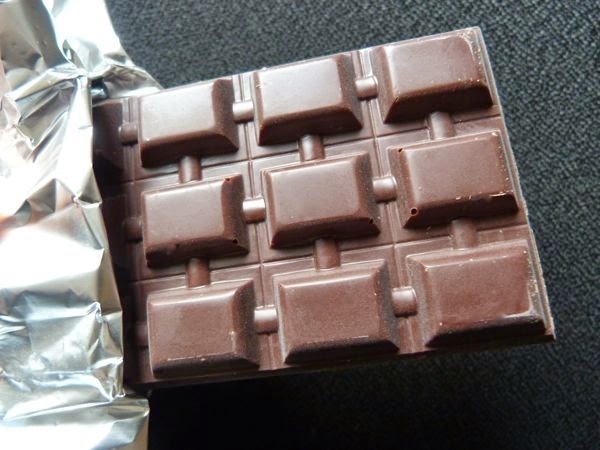 As described in the tasting notes, this bar had smooth, "deep classic, straight-forward cocoa flavor." The light, evenly distributed sprinkle of sea salt was just right.